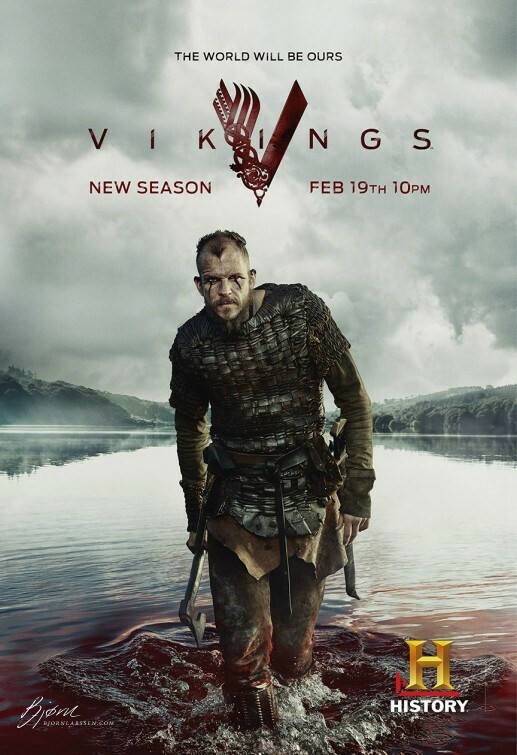 In the last episodes of season 5, Flóki places himself in a boat, asking the Gods to take him wherever they see fit. He is lucky – he lands on a black beach of Iceland. The beach in question is Iceland’s best known black beach, Reynisfjara near Vík, a small village with a population of 318 people. In 2018. Not back in the ninth century. Flóki – the TV one, still – was convinced he arrived at Ásgard, one of the Nine Worlds, the one where Gods themselves dwelled. He took the trip alone, but despite not knowing his route as he spent most of his journey being too tired and dehydrated to see anything he returned to convince others to join him in the land of the Gods. 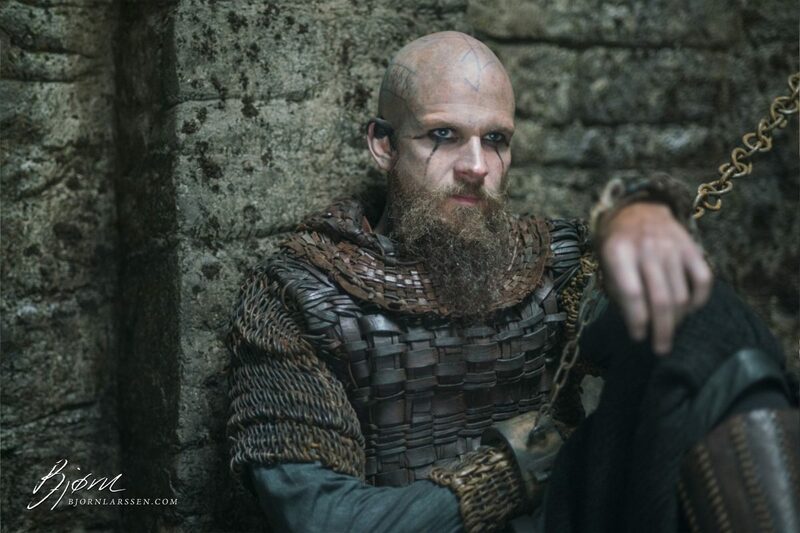 To finish off, unlike Rollo – who would have never had a chance to meet Ragnar due to living in a completely different time and place – theoretically Flóki could have met Ragnar, although it’s unlikely that they would become the best of friends, as there was an age difference of many years between the two. Reality was a bit less romantic. Hrafna-Flóki (named so for the three ravens he took along for the journey to determine whether he was near land of any sort) departed for his trip in 868 A.D. Depending on sources, he was accompanied by his wife, Gró, their two daughters, three men: Thorolf, Herjolf, and Faxi. Or not. Icelandic The Book of Settlements does not mention Gró or the second of Flóki’s daughters, noting only that one of the daughters, Geirhild, drowned in a place later called Geirhild’s Water in Shetland Islands. The whole trip went like this: Western Norway > Shetland Islands > Faroe Islands > Iceland. The summer was exceptional, fish aplenty, and Flóki did not prepare for the winter. As a result, all of the livestock perished. Hrafna-Flóki named the land Ísland (Iceland) when he saw a large fjord (most probably Ísafjörður), full of drift ice. He was very unimpressed, even though it wasn’t Iceland’s fault that they didn’t bother to prepare fodder for the animals for winter, and the group returned to Norway. Flóki declared the land worthless. Herjolf was undecided, seeing good and bad qualities. Thorolf insisted that butter was smeared over every strand of grass, earning the by-name “Smjör” – “Butter”. Faxi’s main claim to fame was declaring Iceland to be “a great land that we discovered, and there are mighty rivers”, as a result of which one of those mighty rivers was named Faxaöss – “Faxemouth”. Despite Hrafna-Flóki’s disgust with Iceland, he returned there anyway and lived there until his death. Iceland does steal hearts, and apparently not just mine. That honour belonged to a man with a beautiful name Naddodd (Naddoðr in Old Norse). According to Landnámabók, a medieval Icelandic manuscript (link below), Naddodd was sailing from Norway to the Faroe Islands, but got lost and drifted to the east coast of Iceland. He didn’t find himself too impressed either and decided to continue towards the Faroe Islands, but not before naming the mysterious land Snæland – Snowland. This happened around 850 A.D. Interestingly, despite the fact that neither Naddodd nor Hrafna-Flóki found any people in the land, certain sources mention that Christian monks arrived in Iceland even earlier, in 759 A.D., yet left later, too grossed out to live surrounded by Vikings. Since it took Vikings at least another 90 years to discover the land, the monks must have duplicated or cloned themselves to live long enough to witness the arrival of Naddodd, Garðar Svavarsson (a Swedish Viking reputed to have spent one winter in Iceland, although not really on purpose), then Hrafna-Flóki. 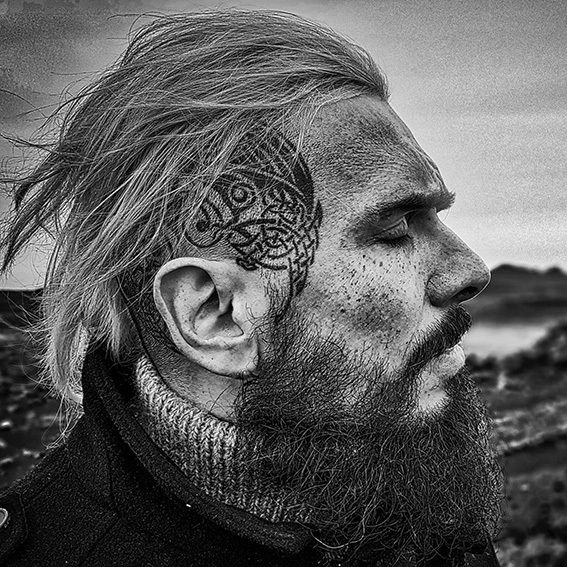 Iceland was discovered MANY times, by the sounds of it, and that’s without even mentioning Ingólfur Arnarsson. Flóki’s a sick man in many ways. He’s damaged goods. He’s bipolar. He’s probably psychotic. He’s on the verge of schizophrenia. I don’t know what you would call it. But he is crazy. He’s gone further in his insanity now. In Episodes 7 and 8, he’s pushed over that edge. Ragnar putting him in charge of the raid on Paris actually magnified Flóki’s ego to the point where it pushed him over the edge to insanity. The sources do not exactly elaborate on this. But do remember that in the 9th century there was no such thing as “bipolar” or “schizophrenia”. Mentally ill people were either shunned or elevated to positions of shamans and seers, believed to see into the worlds other mortals couldn’t. 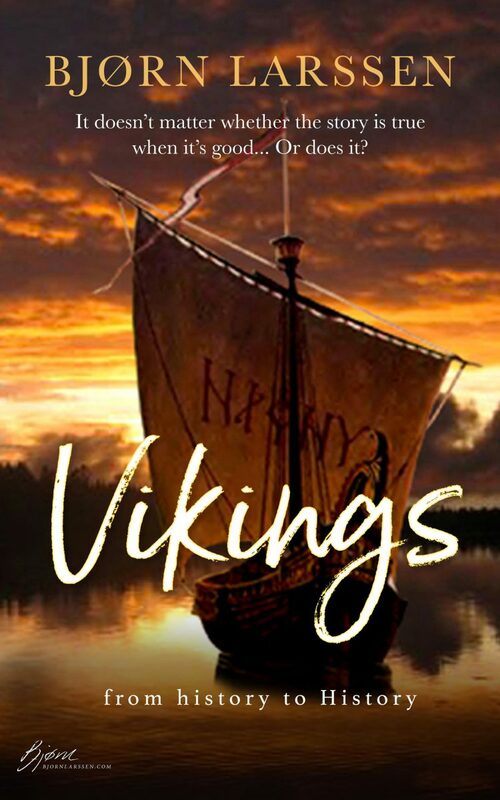 The first thing I need to say about my own work on Vikings is that it is drama and not documentary […] based on historical research and historical record. These two ideas are not, as some might think, contradictory. 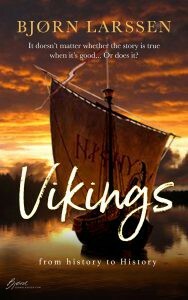 Long before I start to write, I spend weeks, even months, rummaging around in accounts of Viking life, society, and culture, teasing out story lines and watching as various characters begin to emerge from the material and claim my attention. The connection between Loki and Flóki had been a key theme when Michael Hirst was developing his character, and elements from Loki’s mythology often appear in Flóki’s life. 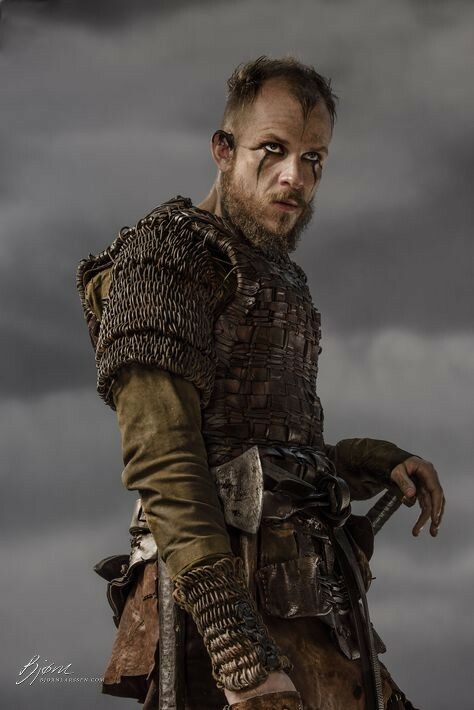 When Floki and Helga have a daughter, he insists on calling the child Angrboða. According to the Poetic Edda and Prose Edda, Angrboða, whose name means “she who brings grief,” was a jötunn, or a giantess who had several children with the God Loki. There are many more similarities between the two, if only to mention that both Flóki and Loki have a tendency to lead their companions into trouble only to get them out of it. You must forgive me for not asking Loki about his own mental health. I have a feeling he wouldn’t appreciate it. All photos are promotional shots property of History Channel.